What’s sweet and nice with a little bit of spice? These tacos! 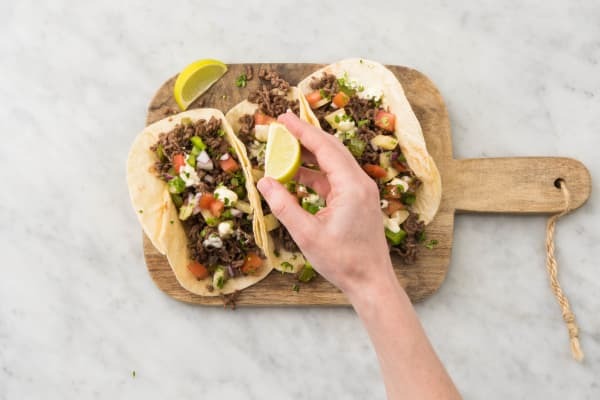 Filled with beef tossed in our blend of warm, earthy spices and topped with a fruity pineapple salsa, they’ve got a perfectly pleasant personality with just a little bit of a wild streak. And just in case you’re not convinced that they’re as congenial as can be, let it be known that they can be prepared in a jiff and are super-duper easy. Wash and dry all produce. Halve, peel, and finely dice onion. Core and seed poblanos, then cut into ⅓-inch squares. Core and seed tomatoes, then cut into ⅓-inch cubes. Roughly chop cilantro. Halve one lime; cut other into wedges for serving. Drain pineapple, reserving juice; roughly chop fruit. 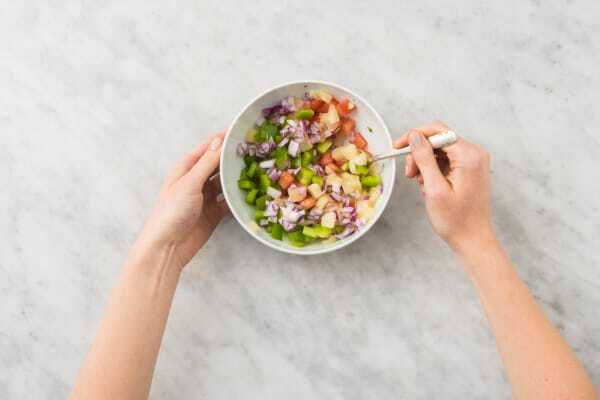 Combine 2 TBSP onion, ½ cup poblanos, tomatoes, half the cilantro, pineapple, and a squeeze of lime in a medium bowl. In a separate small bowl, combine sour cream with a squeeze of lime. 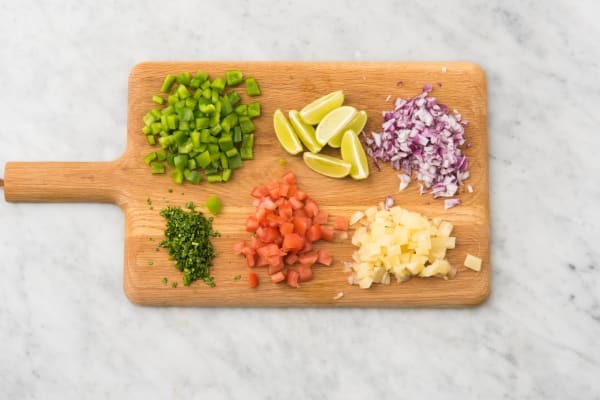 Season with salt, pepper, and more lime to taste. Heat 1 TBSP oil in a large pan over medium-high heat. Add remaining onion and poblanos. Season with salt, pepper, and half the taco spice. Cook, tossing, until softened, about 2 minutes. 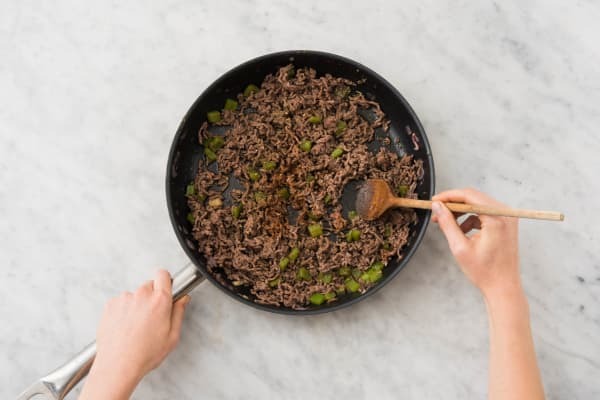 Add beef to pan, breaking up meat into pieces. Season with salt, pepper, and remaining taco spice. Cook, tossing occasionally, until browned and cooked through, 3-4 minutes. 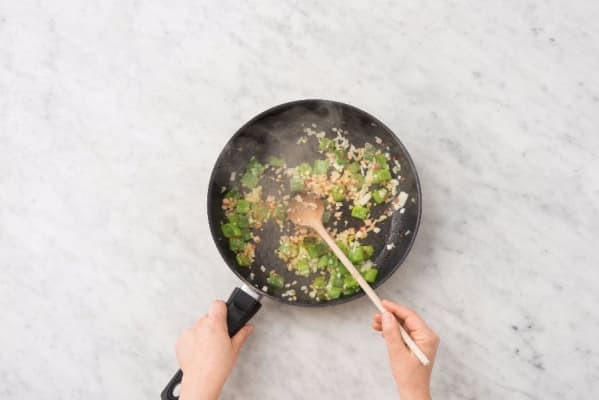 (TIP: Carefully pour out any excess grease in pan if mixture seems oily.) Stir in reserved pineapple juice and remove pan from heat. 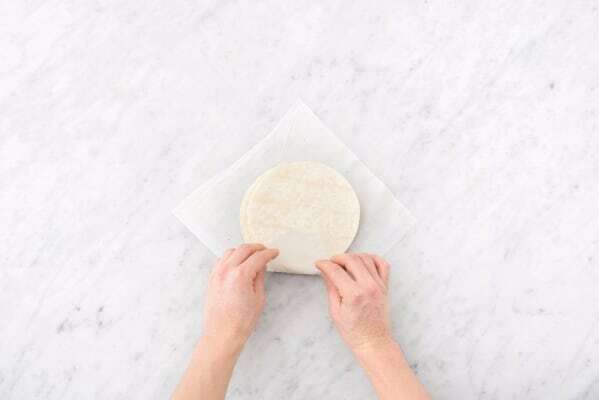 While beef cooks, wrap tortillas in a damp paper towel and microwave on high until warm, about 30 seconds. 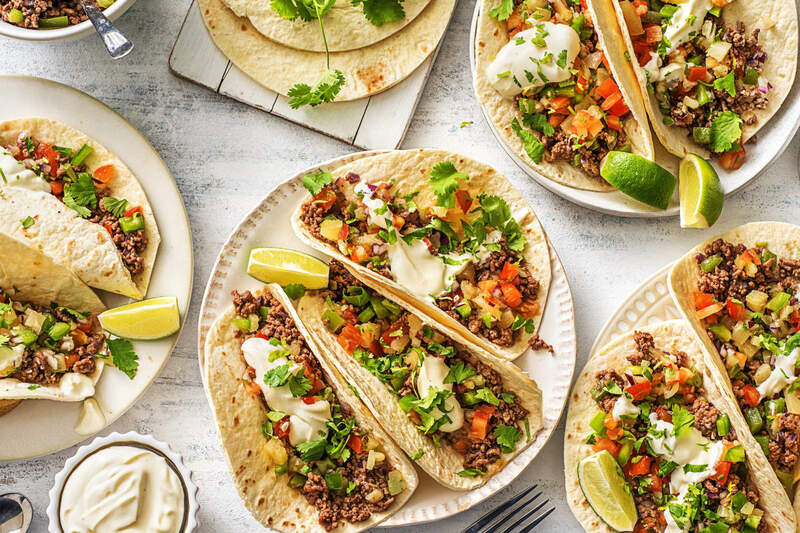 Divide beef mixture between tortillas. Spoon salsa and crema over. Sprinkle with remaining cilantro. Serve with lime wedges on the side for squeezing over.